Opinions about Rio de Janeiro tend to be extreme. For most people abroad, Brazil’s former capital is the epitome of easy-going, sunny Brazilian lifestyle. For most Brazilians outside Rio, especially in Sao Paulo, it’s a forsaken hole that never quite got over the loss of its capital status, whose inhabitants cannot get anything done because they spend all their time bribing and shooting each other. We decided to see for ourselves: whatever can be said about it, it is hard to deny that Rio is a very special place indeed. Start with geography. Greater Rio’s 12 million people live wedged between the Atlantic Ocean and the wide Guanabara Bay, on roller-coaster-like terrain alternating between sea level (“asfalto” - well-to-do neighbourhoods) and mountains up to 1000 m high (“morro”). While the lower slopes of the mountains tend to be covered in the kind of areas where most of the aforementioned shooting activity takes place, the higher reaches are pristine rainforest. 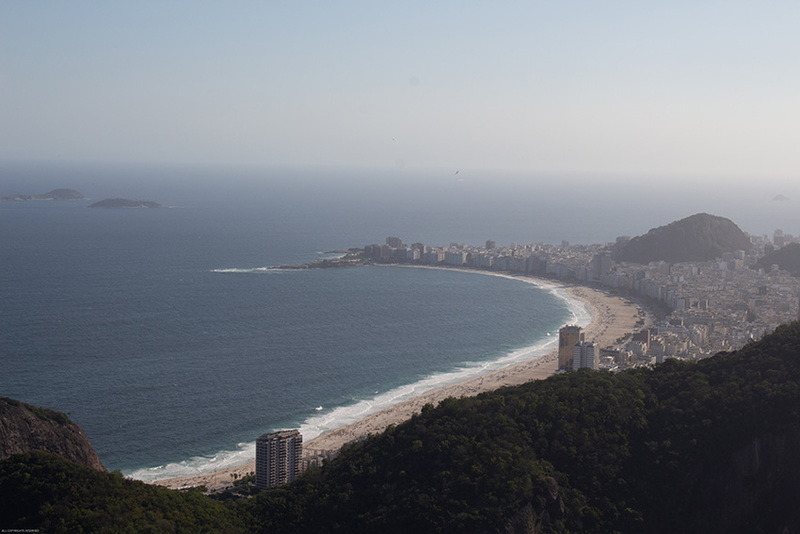 At the top of it all stands Rio’s most famous landmark, the statue of Christ the Redeemer. Do come up here to see this Art Deco masterpiece up close and take in the gorgeous view. Don’t expect to be alone. For a view of Rio that also contains the Christ, it makes sense to follow up by taking the cable car up Sugarloaf mountain, at the point where ocean and bay meet. Continue to food. 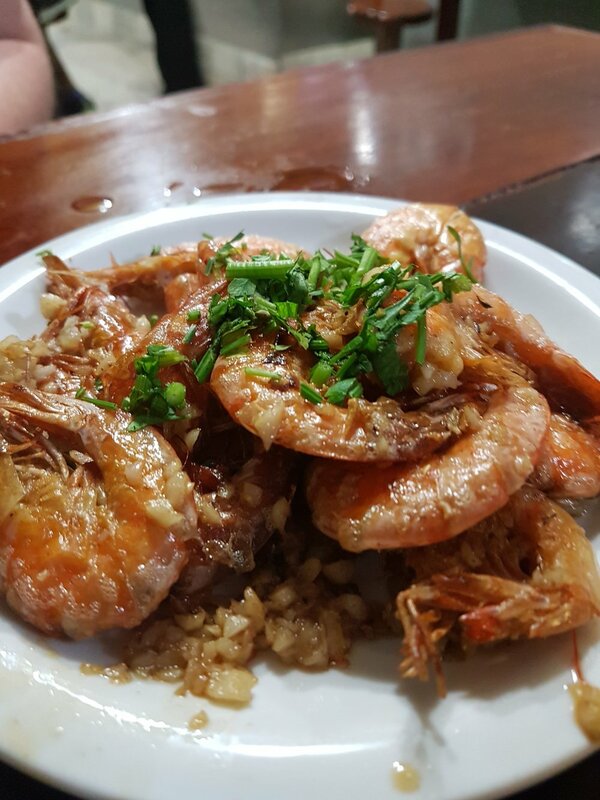 As befits a seaside metropolis, Rio’s cuisine is mainly known for seafood: we tried some excellent upmarket dishes at Grado restaurant, as well as some amazing bar seafood at Adega Pérola. 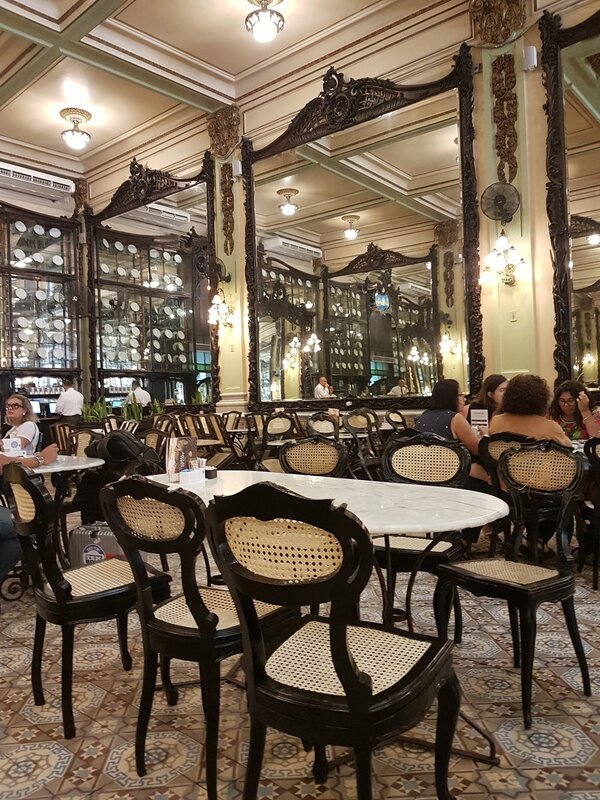 When walking around central Rio (during the day only), don’t miss Confeitaria Colombo, perhaps the one place that still adequately does justice to Rio as the only ever non-European capital city of a European country. Rio served as Portugal’s emergency capital from 1815 to 1821, Lisbon being otherwise occupied by Napoleon: the city was reportedly so upset at the capital moving back to Lisbon that it immediately made a country for itself (Brazil) in 1822. That’s history (somewhat) covered. The reason why most visitors come to Rio and arguably the reason why most people who live here stay, are the city’s numerous beaches. All of them have drawbacks: serious pollution on the bayside beaches, murderous currents at Copacabana, overloads of the ostentatiously rich at Ipanema and beyond. We opted for the most famous of them all, Copacabana: this beach has somewhat lost the glamourous reputation it had during the 1930s and ‘40s and is now rather known for unfortunate architecture, beachside robbery and swindling, but it remains a glorious sight. Its sands are covered in laid-back beach bars serving delicious cocktails, food and desserts. We will definitely come back to Rio. One last word about all that shooting: don’t worry, there is an app for that. Have you been to Rio? What would you recommend?